The January transfer window is set to open on Monday and Manchester United have been linked with a number of players over the past couple of months. With the rumours flying around it appears that we are keen to land a central midfielder, perhaps as a long-term replacement for Michael Carrick, but also in case Marouane Fellaini leaves at the end of the season. The Belgian international is heading into the final six months of his current deal at Old Trafford. Michael Carrick has not played since September after he underwent a heart procedure. He is 36 years old and in the final year of his contract at Manchester United with little expectation that he will be offered an extension. One player who could be a replacement for either of the aforementioned in central midfield is Napoli’s Jorginho. According to the Manchester Evening News we have shortlisted the Brazilian-born Italian international as a potential recruit before the start of next season. The 26-year-old plays in the holding midfield role for the current Serie A league leaders and has started 15 of their 18 league games so far this season, chipping in with two goals and three assists. Furthermore, during the week, a Napoli website claimed that the club had received a ‘big offer’ from an English side, though it did not state which club in particular. Jorginho is a very mobile holding midfielder, similar to his fellow countryman at Manchester City, Fernandinho. This would give us a better option than Nemanja Matic in this sense, but also a great upgrade in cover where we currently have Marouane Fellaini, Ander Herrera and Daley Blind playing in front of the defence on occasions. 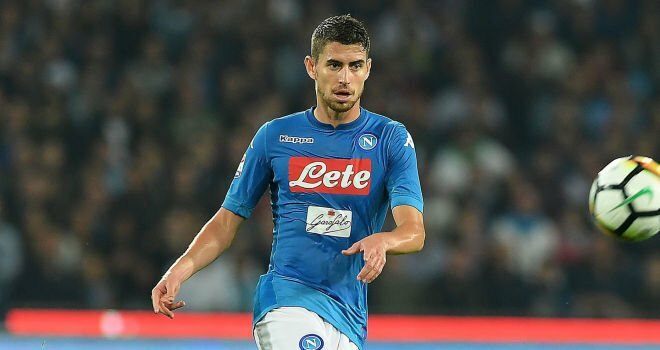 The report in the MEN does not mention a price or whether we will make an offer in January or the summer for Jorginho, but he’s certainly one of several options that Jose Mourinho is reportedly looking at.